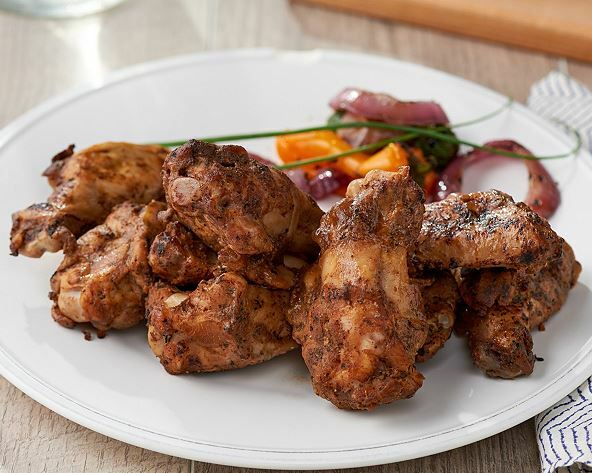 Grilled and Fully cooked Sous Vide Chicken Wings are the newest item in the Heartland Fresh line-up. Slow cooked for moist tender wings and tossed in a delicious seasoning blend. Pick from Nashville Sweet Heat, Smoky Ranch, and Carolina BBQ. Conventional Oven: Preheat oven to 400 F, place desired number of pieces on a sheet pan lined with foil and sprayed with non stick spray. For best results, keep product in a single layer on sheet pan, do not stack or overlap. Cook for about 30 minutes, turning wings half way through cooking time or until wings are hot and crispy. Air Fryer: Remove desired number of pieces and place in a single layer in air fryer basket. Cook at 390 F for approximately 15 minutes, turning wings half way through cooking time, or until wings are hot and crispy.